Teenage Boy, Groovy Girl and two friends, after tree search. We always get our tree the Saturday after Thanksgiving at a lovely tree farm, Kris Kringle's, and they serve hot cider and have a fire in an outside pit. It makes for a lovely few hours and two years ago we invited another couple and their children to join us, so we've added to our celebration. That is what I love the most about the holidays-it seems we make more time for friends and family. We are having friends over tomorrow night just because we ran into them recently at my husband's play and decided we needed to get-together for dinner and before Christmas is really upon us. They are coming for dinner tonight and I'm making a chicken. If you've ever read my sidebar list it says I'm a vegetarian that eats locally-raised meat (Animal, Vegetable, Miracle by Barbara Kingsolver changed my mind) but not frequently. I met a farmer (through a friend) who raises chickens and other cute farm animals as well. He started doing it 10 years ago for just the same reason I didn't eat meat-he didn't trust what was happening to our corporate- produced meat sources. I've only been back to eating meat about a year now. I digress-this post is supposed to be about food and friends-not cute farm animals, who might be friends also. My mother used to make this rosemary and goat cheese chicken so I searched around a little last night, looking for something similar and came up with a roast chicken recipe at Jamie Oliver's website. He, like Kingsolver and Alice Waters, is making a difference in how people eat and I admire the work he's doing with the British school lunch program. That would be my dream dinner party-cooking together with Barbara, Alice and Jaime! Thrilling!! Tonight will have the roast chicken, mashed (home grown) potatoes, spinach and feta lasagna, brussell sprouts and a small salad. Half the group is vegetarian thus the reason for the lasagna which comes from this fabulous cookbook from The Grit, in Athens, Georgia. We're starting off with champagne, with pomegranite seeds tossed in and will move on to a lovely bottle of red, which I haven't purchased yet or I'd mention its name as well. Thinking about wine makes me think I should check my old version of The Wine Trials to find a perfect (and reasonable priced) wine! Could I mention any more food links? Well, most definetely Yes!, but I'll stop there. This is how things go at my house-inviting two people, one couple, for dinner has led me to all these dining spots, recipes and brought up all these whirlwind ideas.Like now my mind is thinking about a post debating hard copy cookbooks vs. online. My mind on food. Don't ya just love the holidays!! Tonight will be filled with good conversation and good (hopefully) food and my mind will chill. Happy eating and reading! Cheers. p.s. last week's Morrocon-Style Lentil and Chickpea soup was a huge hit with my family. We ate it simply, soup and fresh-baked bread. Yum. 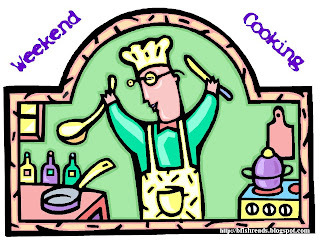 ***This food-related post is linked to Weekend Cooking hosted by Beth Fish Reads. Pop over there and read about Crescent Dragonwagon, a writer of children's books and cookbooks, and her new Cornbread book. My husband might need this for a Christmas gift. He loves cornbread but makes it from a box. Hmmm. Seriously, Have a Happy Saturday!